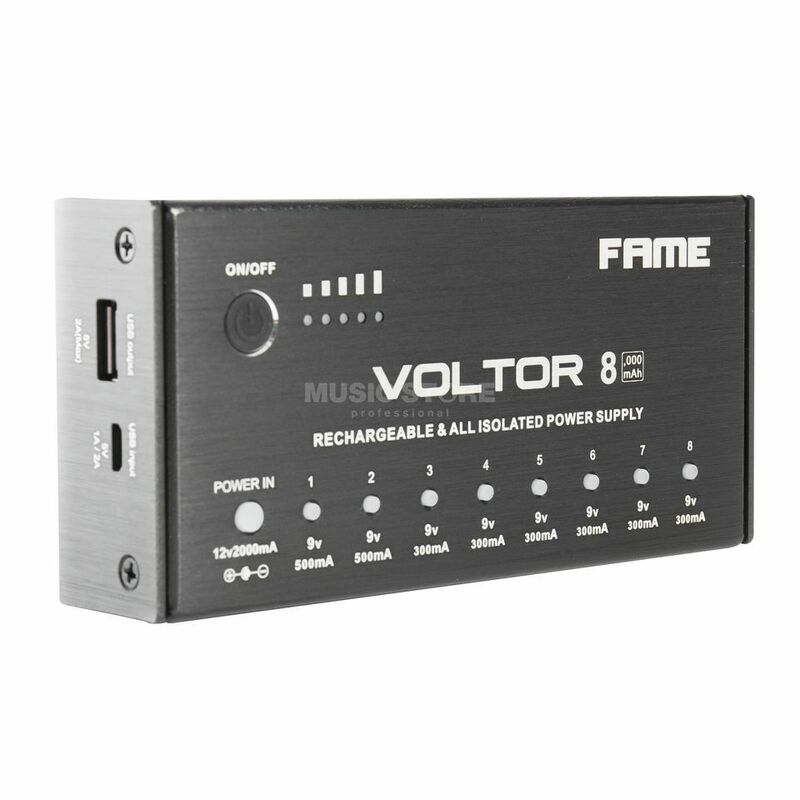 The Fame Voltor 8 is the perfect multi power supply to operate pedalboard setups independently from external power sources. Equipped with a lithium-ion battery, the power supply not only offers six 9V connectors for 300mA and two additional DC outputs for powerful effect devices with up to 500mA, but also a USB port for charging smartphones, tablets and other devices. Thanks to a charging capacity of up to 8000 mAh, the Voltor 8 offers reliable performance even under heavy loads in large pedal setups. Last but not least, the Fame Voltor 8 comes with a 12V power supply, eight DC cables, a USB connection cable and a Voltage Doubler Split cable for operating 18V effect devices.